"Women in the Heights - Resistance" Featuring the work of 28 women artists of Uptown Manhattan. Curated by Andrea Arroyo. March 28, 2018 was the last day to see Women in the Heights - Resistance. It was also my first time participating in the Artists Talk where I spoke about my work and my art practice. 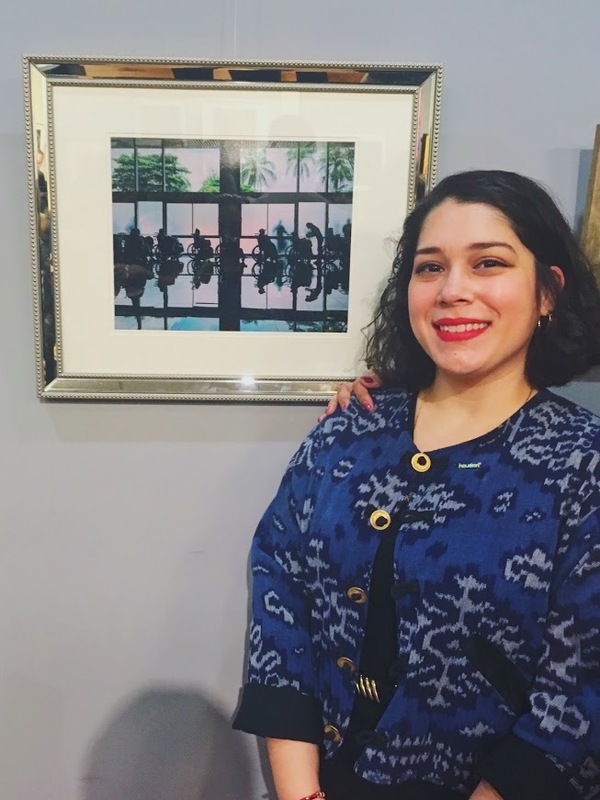 Join the artists of “Women in the Heights-Disruption” as they share their processes and visions followed by the workshop: “Women in the Heights” and Workshop “Artivism - How to develop and fund your projects” led by curator Andrea Arroyo.This session is appropriate for emerging and mid-career artists of all disciplines. In celebration of Women’s History Month Northern Manhattan Arts Alliance in partnership with Broadway Housing Communities and The Sugar Hill Children's Museum of Art and Storytelling present the exhibition "Women in the Heights - Resistance" Featuring the work of 28 women artists of Uptown Manhattan. Curated by Andrea Arroyo. Showing love to Uptown on International Women's Day! 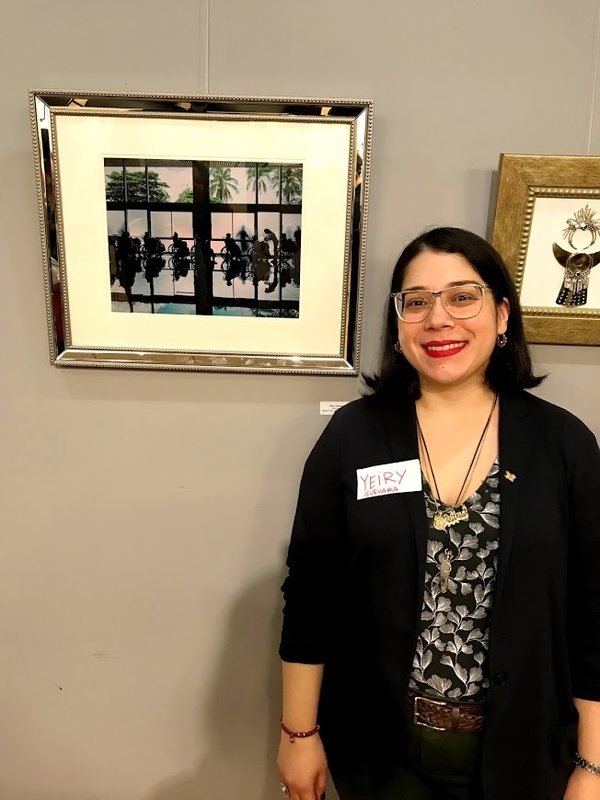 I was proud to be part of this group exhibition titled "Women in the Heights - Resistance" presented by the Northern Manhattan Arts Alliance, Broadway Housing Communities and The Sugar Hill Children's Museum of Art and Storytelling. The show took place at Rio II Gallery in New York, NY on March 8-28, 2018, curated by Andrea Arroyo. 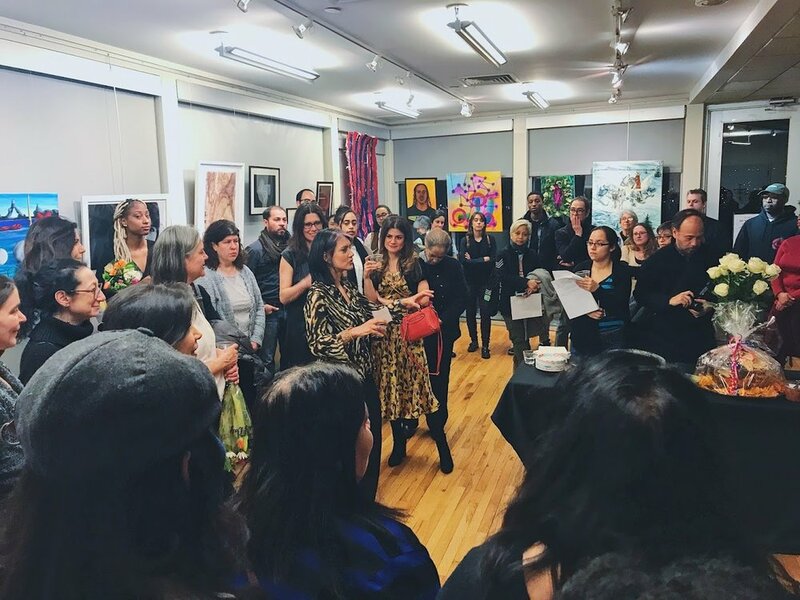 The opening reception was on March 8th, 2018 from 6:30 - 8:30 p.m. Artist Talks were held on the closing night of March 28th, 2018. See the event recap for the Artist Talk here. In celebration of Women’s History Month The Northern Manhattan Arts Alliance in partnership with Broadway Housing Communities and The Sugar Hill Children’s Museum of Art and Storytelling present the exhibition "Women in the Heights - Resistance" Featuring the work of 28 women artists of Uptown Manhattan. Curated by Andrea Arroyo.